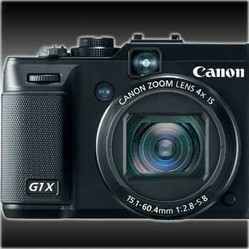 The long waited for Canon G13 will be marketed under the name Canon PowerShot G1X. Read all about it here! I have been a 'Canon Girl' from the moment I took up photography some thirty years ago and I have used, so far, exclusively SLR and DSLR cameras. Yes, I am one of these strange persons that bought a SLR as first camera and not a compact or point and shot ;-) Over time, I always used SLR cameras, first film and now digital and whilst I have flirted with the idea of adding a compact digital camera to my photographic equipment, I have hesitated so far as that would have meant to sacrifice image quality. But that many change soon, thanks to the new Canon G13 aka Canon PowerShot G1X! I am really excited about the features this latest Canon model has. 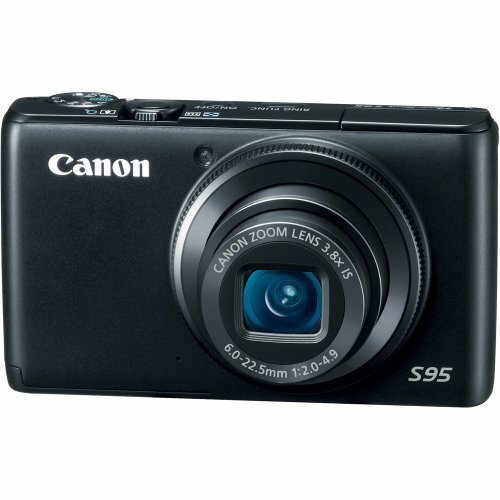 The newest, and perhaps best, Canon Powershot model is due for release the 31st March 2012. 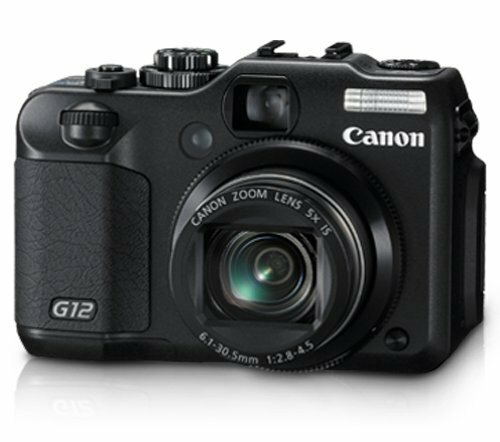 With naming it PowerShot G1X, Canon sends an important message to potential buyers that have expected that, in the tradition of the Canon G series, this model to be named G13 or G14. The message is that, whilst this camera is certainly based on the features, and success, of the G series, it contains so many new and advanced features that it merits its own name and will, hopefully, mark the beginning of its very own series of top Canon prosumer cameras. See for yourself what that camera can do! I will not bore you to death with the full technical details, for this see the link below to the Canon product page ;-) Instead I will tell you what I like about this camera, what I don't like - and why! It might be just me, but if I take a camera in my hands, I want to have the feeling of having a real camera in my hands and not some sort of tiny gadget. I want to reach all knobs and dials comfortably and not being afraid of changing a setting I don't want to change whilst doing something else. The G13 with its dimensions of 4.6x3.17x2.55 inches and 19 ounces of weight is certainly not as big or heavy as my trusty-rusty Canon Rebel, but still better than some of these ultra-slim, ultralight pocket cameras ;-) Plus still small enough to put into a hand bag or largish pocket! Another point where I show my age, I really prefer optical viewfinders to LCD screens, drawback with the G13 is that its optical viewfinder covers only 80% of the image, which will take some time to get used to when it comes to image composition. And for those situations when I can't throw myself to the ground to get the shot I want, the swivel LCD panel will come in handy also. The larger the sensor, not in megapixel, but in inches!, the better usually the image quality. The G13 has a sensor that is only marginally smaller than the ones Canon uses in its DSLRs - big plus point! And yes, it does take 14MP images also, great for really large prints! Another big one for me! I love the idea of being able to take a quick jpg for immediate use and having the raw file for playing around later in Photoshop. Many compact cameras don't offer this - has been always a deal breaker for me - until the G1X came along! Perhaps the biggest plus point for me, being able to control exposure and aperture completely manual or going for fully automatic as the need arises. The manual controls are exactly the same that are available on DSLRs, so again, I am a very happy bunny. Click any image for more details! Full list of features of the Canon G13 / Powershot G1X can be found here. I warn you, this camera is not cheap, at $799 retail price it is aimed at serious photographers and / or DSLR users that need a smaller, yet professional, carry around camera. The image quality is stunning and the variety of features like the ability to shoot jpg+raw at the same time and the full manual control, if desired, make it well worth every cent for me. If you are serious about photography, this camera might be exactly what you are looking for, but if you don't plan to make ever use of its advanced features, there are cheaper cameras around that might be better suited for you (see below). ... you might be lucky and get one for less! I love my Canon G11 and a colleague with me on my latest trip had a Canon G12. The main problem with both of these is the slowness of shots. It was a real disadvantage given that I didn't have much time to set up the photos and just as little time to wait for the click to finish. 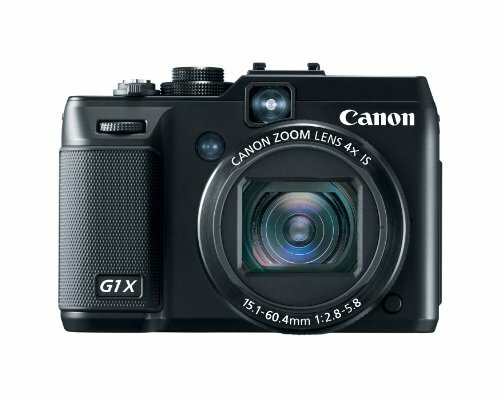 Does the G1X improve that situation? You call a rip-off what was your user mistake, taking a digital compact camera into an environment it was not approved for. These compact, portable, robust all-rounders are damaged beyond repair by the slightest damp. Hang the camera under your waterproof clothing, and the wick action of the neckstrap is alone enough to destroy the camera beyond all repair. You tell me if, after all these years of development, the lack of the slightest, most rudimentary waterproofing on these cameras is not deliberate. It is equivalent in every respect to planned obsolescence, and results in the destruction of every camera used in even the finest of rain. Result? Your guarantee is void, your camera can and will not be repaired, your batteries are dead, your many years extra repairs insurance void, and the seller RESOLUTELY deaf to your frustrations. Nice camera also, Lissie! The main problem I have with the super-zooms is that image quality tends to suffer, especially at the zoom end. If you use your images only online (blog, Facebook, websites) that is fine, but if you want to print them out at a decent size, it is better, at least in my experience, to sacrifice some focal range for better image quality. If you like the G10, you will love the G1X, I am sure, BrettB! I need to look at this one, I really like my G10. Shame it's a little on the heavy side, but it has more features than most Digital SLR's.